This site includes information about all the Twinning and Friendship links that Devizes has with other countries. 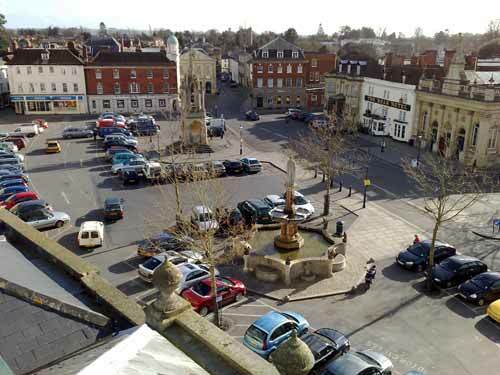 Devizes has a number of long established international twinning and friendship links with towns across the world. Twinning in the modern sense began after World War II when there was a conscious effort by national and local governments to take steps to heal the wounds, and aim for a more peaceful world. In all forms of Twinning there is the aim of international co-operation and understanding. Devizes enjoys a unique three way twinning link. This stretches back to the early 1960s when the initial link was established between Mayenne and Waiblingen. Mayenne is situated in the Western Loire, approximately 130 miles south of Cherbourg. Mayenne has approximately 15,000 residents. Waiblingen is situated near Stuttgart and to the east of the Black Forest region. Waiblingen is larger than Mayenne and Devizes, with a population of over 50,000. The Italian town of Jesi is also twinned with Mayenne & Waiblingen. Tornio is the capital of Finnish Lapland, located at the top of the gulf of Bothnia. It is an extraordinary landscape of great contrast – long days of summer and very long nights of winter. This twinning link is managed through the Devizes-Tornio Twinning Association. Although a twinning link, the relationship with Oamaru is not a very active one due to the distances involved. However, the friendship between the towns is a warm one based on emails and mutual letters of introduction when people of our towns visit each others. Oamaru and the Waitaki region are very beautiful areas of New Zealand’s South Island. Lesko with a population of 11,500 is situated in the extreme South-East of Poland and the Devizes Lesko Friendship Association is managed by Mr C Jones.